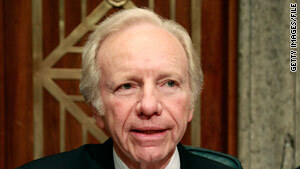 Sen. Joe Lieberman said reforms have worked, but the Christmas Day attack suspect should not have been flying. Washington (CNN) -- A Senate committee began its assessment of intelligence reforms put in place after the September 11, 2001, terrorist attacks by focusing Wednesday on the alleged Christmas Day attack aboard a plane landing in Detroit, Michigan. Sen. Joe Lieberman, I-Connecticut, said that while he believes that the post-9/11 changes have "worked very well," it is "infuriating" that the December 25 suspect, Nigerian Umar Farouk AbdulMutallab, was able to board the plane in the Netherlands with a U.S. visa. The ability of the flight crew and passengers to tackle the suspect saved the approximately 290 people on board, said Lieberman, chairman of the Homeland Security and Governmental Affairs Committee. AbdulMutallab's father in Nigeria had alerted the U.S. Embassy that he was worried about his son's increasingly extremist views. Since the alleged bombing attempt, various agencies, including the Department of Homeland Security and the State Department, have been criticized for not paying more attention to the father's warnings. Janet Napolitano, secretary of homeland security, pointed out that her department does not prepare the "watch lists" or a "no-fly list," but "I share responsibility for the enterprise that has to happen to prevent this from happening again." "He [AbdulMutallab] was not on the no-fly list, which would've flagged him to be prevented from boarding, nor was he on the selectee, list which would've flagged him for secondary screening," she said. "Furthermore, the physical screening performed by foreign authorities at airports in Nigeria and the Netherlands did not detect explosives on his body." "As this incident underscores, aviation security is increasingly an international responsibility," she added. Napolitano said top Homeland Security Department officials are embarking on a multicontinent tour to meet with international counterparts about airline and airport security. She said she would leave in the evening for Spain and a meeting with European Union officials. She said her department is trying to encourage other countries to beef up their screening procedures at airports they control. "We are embarking on an international effort," she said. Also at Wednesday's hearing, Sen. Susan Collins, R-Maine, said that "we dodged a bullet above the skies of Detroit on Christmas Day." The State Department should have revoked AbdulMutallab's visa, or authorities should have questioned him, she said. Collins said the government should immediately revoke the visas of people in the Terrorist Identities Datamart Environment, a central repository of information on international terrorists. The government uses TIDE to support its various "watch lists," or terror screening systems. Responding to a question about privacy during screening, Napolitano said that authorities consider privacy issues, but their primary concern is protecting the flying public. She said Congress can have a role in informing the public. "We are doing everything we can do" but "there is no one silver bullet," she added. Lieberman said he believes the various layers of watch lists and no-fly lists are too complicated. Michael Leiter, director of the National Counterterrorism Center, agreed and said actions would be taken this week to change how people are selected for the lists. The terror watch list has about 400,000 names, officials have said. "Umar Farouk AbdulMutallab should not have stepped onto a plane on Christmas Day," he said. "The counterterrorism system collectively failed." Sen. John McCain, R-Arizona, asked those testifying why no one has been held accountable for the AbdulMutallab incident. He was told an investigation into who was responsible was under way.